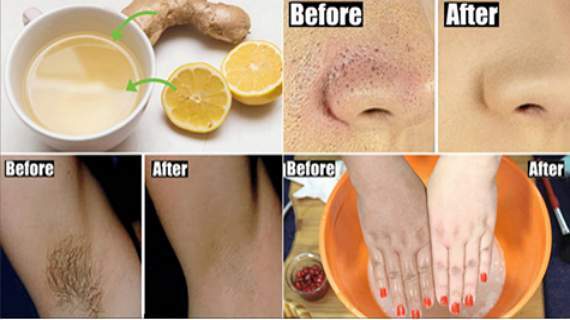 THESE EVERYDAY HOME REMEDIES WILL CHANGE YOUR LIFE FOREVER! On any given day, your body can throw a loop on you. You may wake up with a sore throat or you might get foot blister right after wearing the new pair of shoes you just bought. If you had a long tiring day and your feet is aching then give your feet an instant foot bath. Take warm water in foot tub, add 3 tablespoons of baking soda to the water and soak your feet in it for 10 to 15 minutes. The will clean your feet and calm your nerves. Listerine has antiseptic and anti-inflammatory qualities. To combat foot fungus, add quarter cup of listerine in warm water. Soak your feet in this solution for 10 to 15 minutes to soothe out foot fungus. To soothe out sun burns, take three tea bags and boil them in water. Allow the water to cool down completely. Refrigerate for few hours and add ice to the cold black tea. Dip a towel in iced tea water and place the towel on affected area. Follow the process till for few day to see visible results. If you accidently burnt your hand while cooking, cool down burn with help of aloe vera gel. The soothing aloe vera gel has anti-inflammatory properties that forms a protective layer on your skin and prevents skin form further damage. Rub olive oil 2 to 3 times a day to moisturise and soften chapped lips. The anti-inflammatory and antioxidants present in olive oil lubricate the dried lips and give you an instant relive from the pain. Continue the process for a week to heal your lips completely. Previous post: Ginger And Moringa- The Miraculous Combination That Fights The Deadliest Diseases Of The 21st Century!